Kms. : 1 Hrs.) Jankichatti to Yamunotri (7 kms.) by walk / doli / pony (Own Expense). (10750 ft.) Hot Sulphur Water Spring, Holy Bath in Yamuna River, Yamunaji Temple. 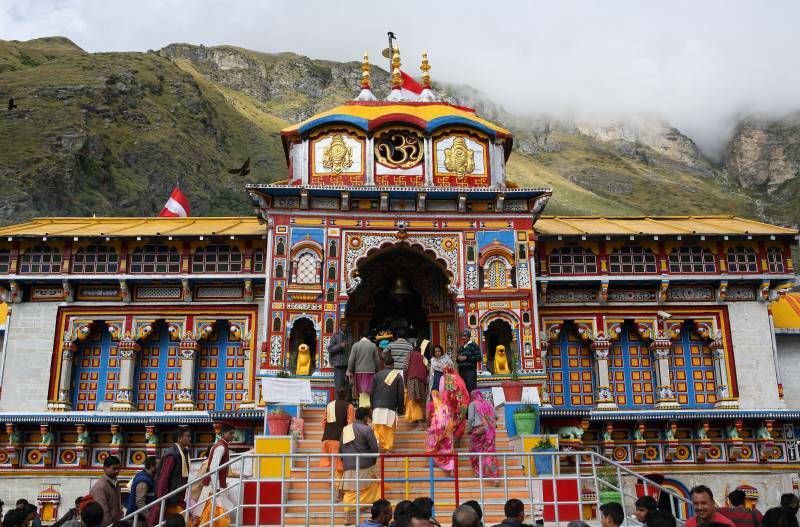 Kedarnath Temple (19 Kms.) by walk / helicopter /pony / doli (own expenses). (01 Night). (11500 ft. height). Bath in Mandakini River, Kedarnath Temple (Jyotirlinga). Arrival at Guptakashi after Kedarnathji Darshan. Stay at Gupta kashi Hotel. Destinations Covered : Kedarnath, Badrinath, Yamunotri, Gangotr..